It is the season of the turkey! One week from today, we celebrate and give thanks. There will be too much football on the television and no shortage of wine and dessert. 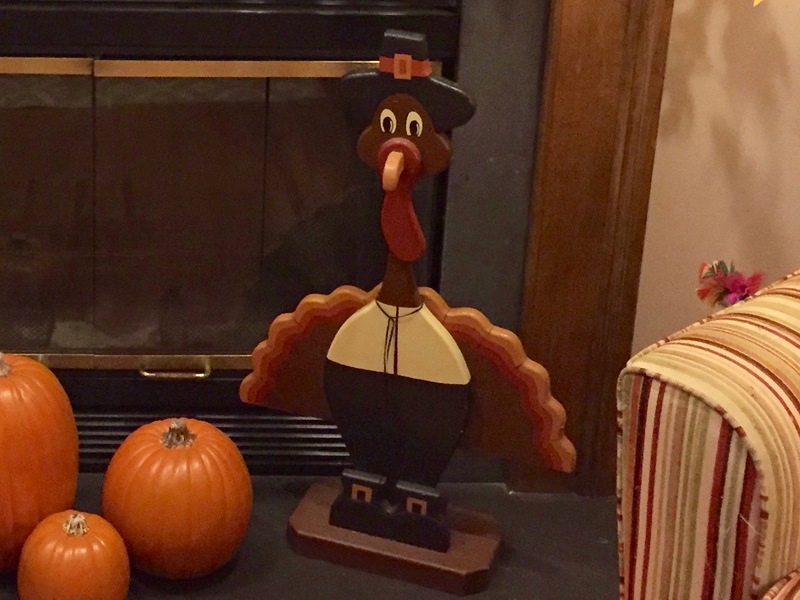 Thanksgiving is one of my favorite holidays because of the gatherings. Our family likes to celebrate together. And that is awesome. That we all generally get along is awesome as well. We also make it a two-day celebration and the annual Axis and Allies game is set to kick-off bright and early on Friday after Thanksgiving while the women are shopping and the kids are out to an eco adventure! But right after the celebration, the most stressful season of the year begins. Even while cold turkey and desserts remain in the refrigerator, the Christmas season arrives to remind us all how far behind we all are. It seems like we are behind from the first day. That we ever catch up is amazing. "Holiday shopping" they call it. 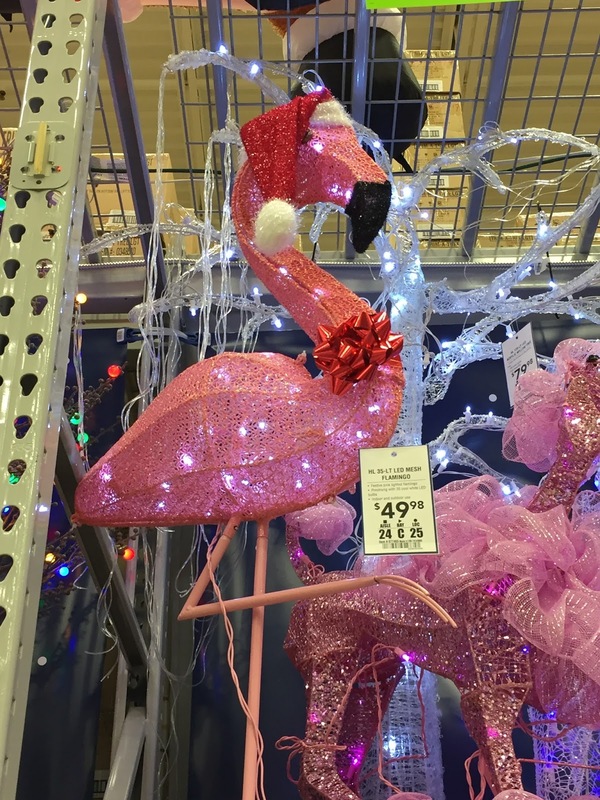 Last evening I was in Lowe's, picking up a few things for some non-Holiday related projects around the house, and I happened upon a Christmas lawn decoration that just made me smile. 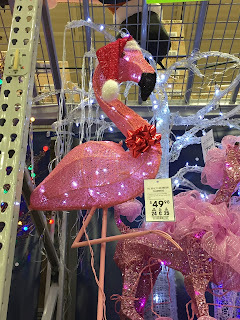 I have always liked Christmas light wrapped Palm trees and have even had a few to spice up the season, but last evening I discovered the perfect yard animal to ring in the holiday season--a lighted pink flamingo! It was very cute with the Santa hat on its head! No, I did not buy it, yet! But I'm thinking of sneaking it into the yard for the start of the season. I was more excited about the pink flamingo than I was the outdoor wreath that Chris was was looking at that would require climbing back onto the roof to install. Someone said "it's the most wonderful time of the year," and I know that it can be. I just wish I lived in the Southern Hemisphere and it wasn't so dark around the holidays. Wouldn't it be great to have Christmas during the summer and we could celebrate by having a pool party? Did I mention that it is 170 days until I open the pool? Ugh! That seems like a long way off yet.